Saturday October 18th, 12:00, Paguera-Mallorca. My last Half-Distance (1.9 Swim, 90 Bike, 21.1 Run) was in Cologne early September 2013. I decided then to take a break for half a year. I am not sure I would recommend it. I lost a lot of endurance, muscular mass and gained weight on top of feeling less happy with my life. Getting back at it had not been easy either with some injuries and bike crashes. 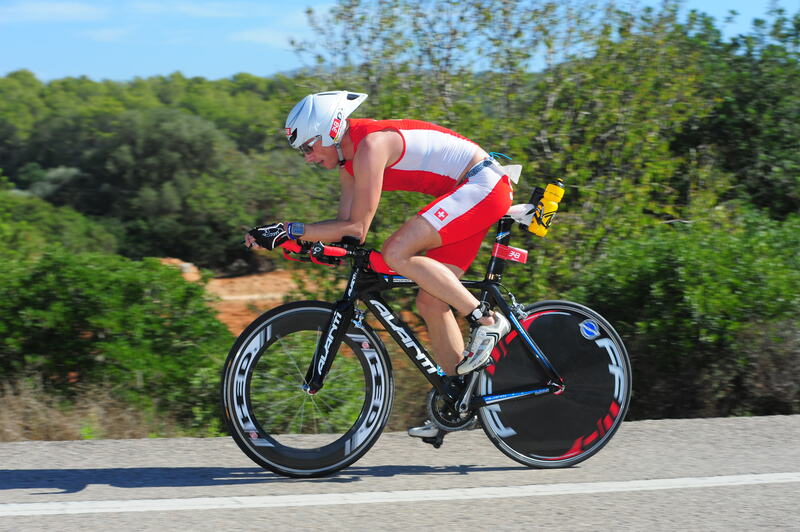 So, October 16th in Mallorca was for me a symbol of coming back and I was race hungry. My goal time was 4:45. I crossed the finish line in 5:15. Sometimes, things do not go to plan…This race has been humbling. But first things first. A late start, on a cracking day. Sunny, hot, no wind, no waves, warm water, no wet suit. Perfect! The gun goes off. A good beach start, with nearly 50m of dolphin jumps exactly as trained. Perfect! The water: ridiculously clear. This is not racing, this is snorkeling! Perfect! I swim relatively easy as usual and get out after 1.9km in 35.12. This is 1 minute slower than expected. But within the time plan. A quick casual high five with my daughter (while leaving the German competition behind 🙂 and a dash to transition. Summary: A good start in the race overall. I exit in 32nd place with 60 other competitor in the category M40-44. A very long transition (literally – the transition zone was 285m and the way to it around 400m) where unbelievable bikes were racked. And on to a tough technical course in the heat (29 degrees). I knew this would not go well as I had scored an auto-goal in the transition zone before the race even started. My special pump for the discwheel (Lezyne and usually reliable) shoots off the valves after 5 bar of pressure. No way to put anymore air. Going into the race with a half-inflated wheel is not only going to cost me a few minutes but also increase the risk of sliding in the curves or worse getting the tyre out of its rim. ROOKIE MISTAKE NUMBER ONE: CHECK ALL YOUR MATERIAL BEFORE THE RACE. KM25: What is this noise in my front fork? Oh no! the front tire is rubbing against the top of the fork!!!. I stop quickly to check for dirt stuck between the tire and the fork…nothing really. I get on the bike again and the tire keeps rubbing. Darn, what is going on today! – I will find out after the race that the mechanic (former pro cyclist) who serviced my bike before the race had mounted the rear tyre in the front. So the thin narrow tyre was in the back (bad for grip) and the thick large tyre was in the front, hence rubbing against the fork. ROOKIE MISTAKE NUMBER TWO: SEE ROOKIE MISTAKE NUMBER ONE. Norman Stadler would confirm this (the famous “too much glue” episode). Deflating the front tyre is out of question. I cannot ride a bike with front and back tyre deflated: this would be suicide in fast curves and downhills. I am telling myself that friction will cease once the “excess” rubber will be rubbed of the tyre (which happened in the second hour of the bike race). ROOKIE MISTAKE NUMBER THREE: GO FOR A RECO RIDE PRIOR TO RACE DAY. ROOKE MISTAKE NUMBER FOUR: FOCUS ON YOUR NUTRITION PLAN. The last mistake…and it starts to be embarrassing, is related to the tail of my aero helmet. It can be opened for better airflow in the heat or closed to retain warmth when cold. Guess what? yes, indeed the lid under the tail of the helmet was closed. My aero helmet had also become a pressure cooker. ROOKE MISTAKE NUMBER FIVE: SEE ROOKIE MISTAKE NUMBER ONE. Having said all that, I was still very happy with my bike fitness on this 860m elevation course. Most inclines were not more than 3% so it was like riding in the wind. Total distance on my Garmin Edge 90.2km in 2:44 against a planned time of 2:35. So I was now 11 minutes behind my time plan + 3 minutes due to long transition time. Goal time was now out of the window. BUT glad also that no major technical issues happened, it could have gone horribly wrong with that rubbing front tire and a deflated back tire in descends. The course was not only 22km long it also was very hot AND it had 250m elevation! What a hard course for everyone. The stupid mistake with the closed aero helmet had as consequence that I overheated and I now looked like an overcooked lobster. 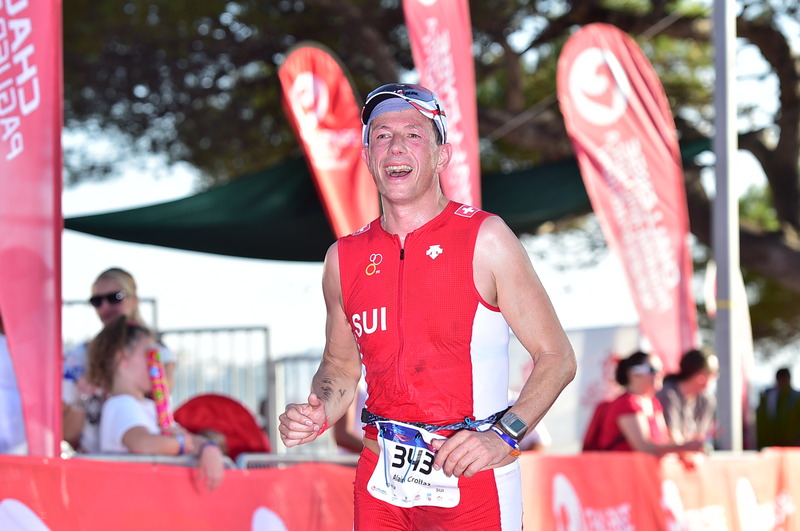 (A supporting friend said he had never seen me glowing like that…) I did not have much in the tank, cramped, etc..but got it through and was very happy to finish this EU-Championship as an official Swiss Age Grouper. I passed Nicki, my racing buddy for this ETU on the 3rd loop of the race and she was having a ball. We chatted for a bit, I was then sure she was going to have a great finish and although I was tempted to slow down and talk for a bit more I pushed myself back in that 5-ish min/km shuffle of mine. There was nothing more I could do. I finished with my worst half-marathon time ever in 1:49 (- but believe it or not it was the 16th fastest run split in my age group, crazy!!!). I ended overall 22nd out of 57 in my Age Group. 183rd out of 880 overall (+ 100 who did not finish on that day! obviously I was not the only one with issues). I had never raced with such a density of good athletes!!! Many racked bikes of had a World Championship- Kona-Hawaii sticker on, or Mt-Tremblant (half distance world championship) bottles, bags etc…so happy to have been part of it all. 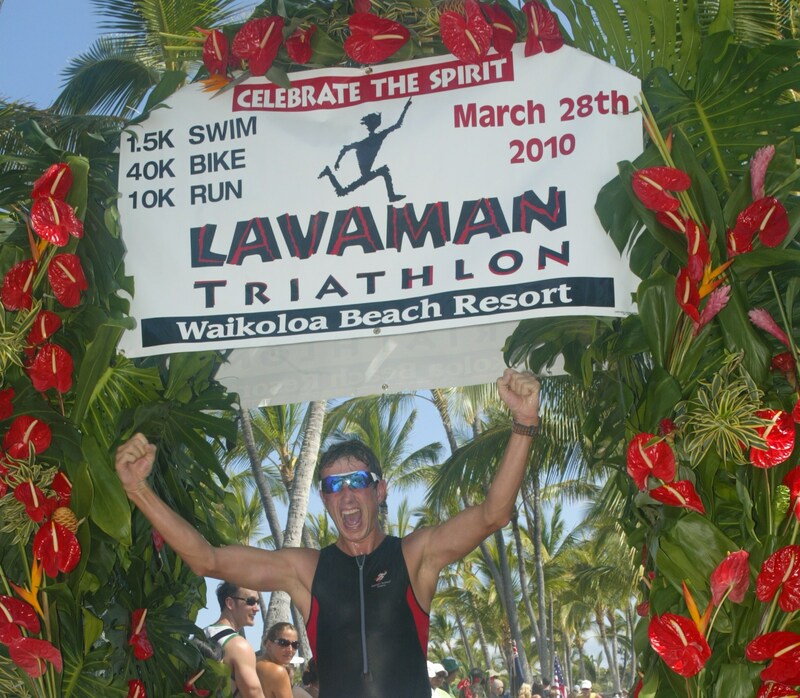 Challenge organised a great race and this whole Championship in this small town with the heat felt like a”Mini-Kona”. 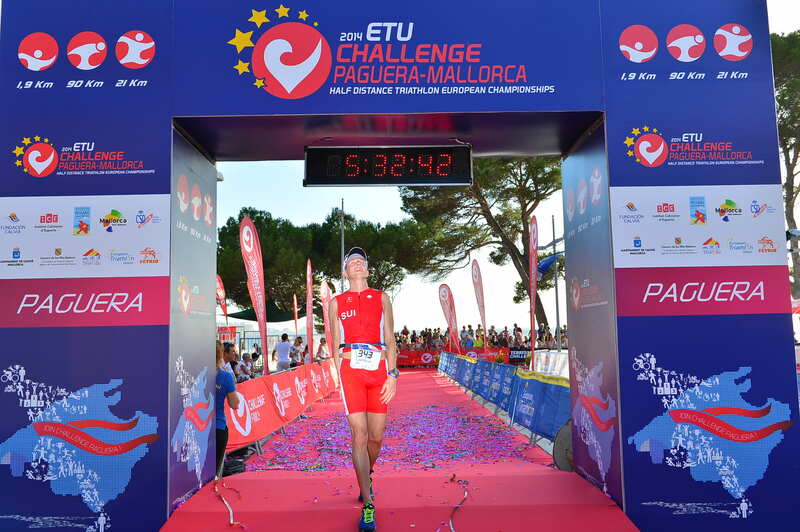 I take away many learnings and as a total fan of Challenge races. But the biggest learning for me is finally understanding what Chris McCormack had said in an interview last year in Challenge Roth, Germany. 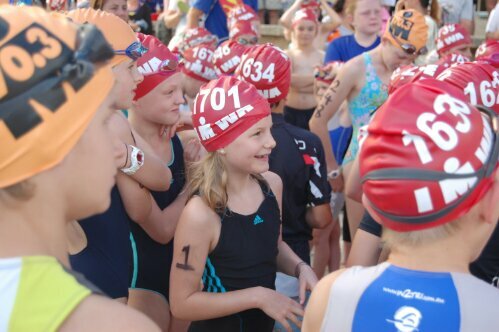 He said “as many Age Groupers are not racing for the podium the only thing that counts for them is to beat their PR. 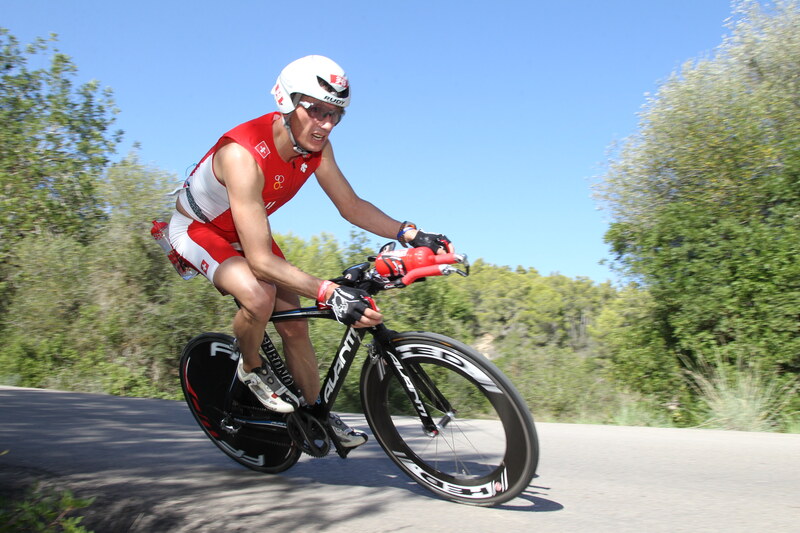 They are therefore entering flat, fast courses and shy away from the challenges triathlon offers. Ironman-WTC has recognised this and is planning more and more standard flat races across the world. 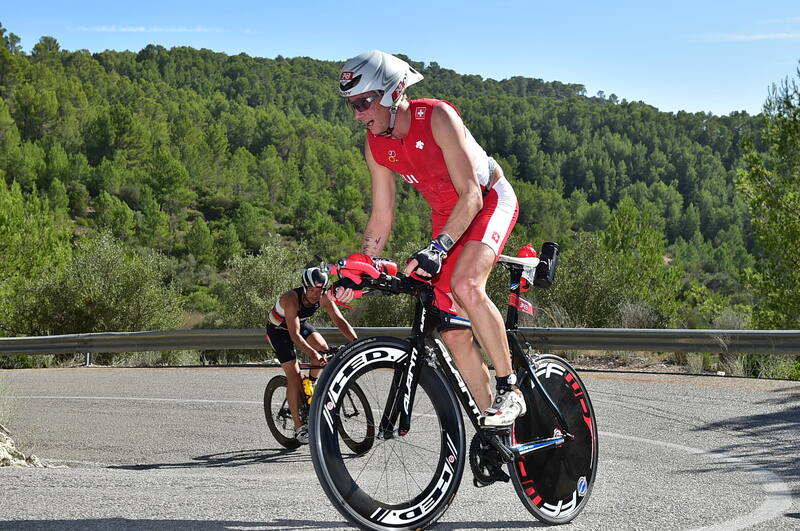 As an ambassador of Challenge and course advisor I hope we can avoid to do the same as Ironman”. In my case, I felt so happy and proud of myself despite my 2nd worst time at the half distance in 8 races. I found it very rewarding to cross the finishline. 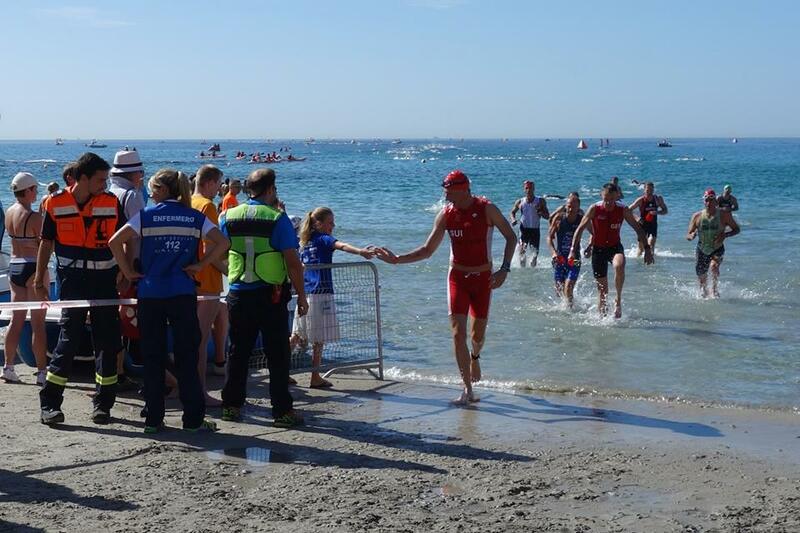 This is what triathlon is about, get to the finish line, no matter what. Loved it here and hope to be back in the coming years. Cheers everyone and go race. 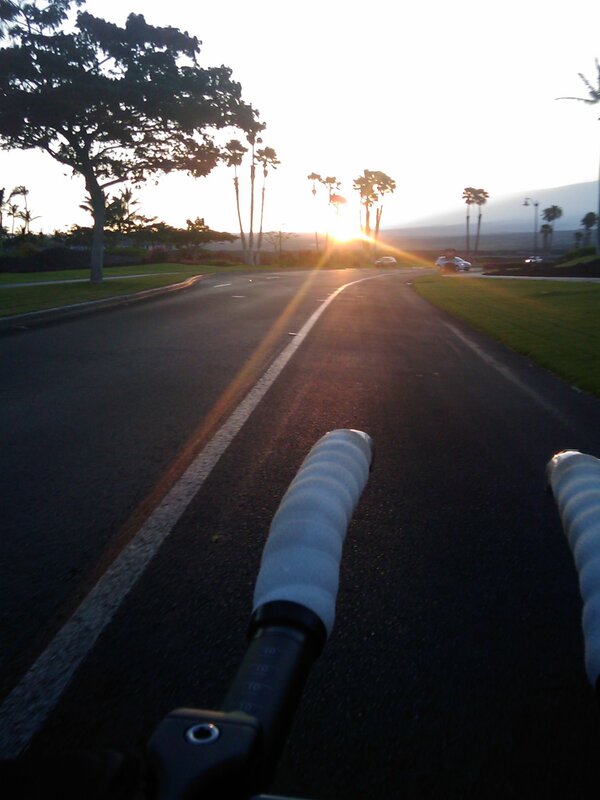 Author 2seventyPosted on October 26, 2014 October 27, 2014 Categories Bike, Family Around The World, Me, Myself & I, Outdoor Activity, Run, Sports, Swim, Training & Racing, Uncategorized, Vacation & TravelTags bike, bike crash, Challenge-Family, Family Friendly, Ironman, Peguera, Race, run, Sports, swim, travel, triathlonLeave a comment on ETU – European Championship Half Distance Triathlon- or how sometimes it is just about getting to the finish line, no matter what. Just a quick note to share that I passed the finish line more than 1 hour before the blast and was staying with a friend in a restaurant 2 blocks away when it all happened. It is a sad scene, unrealistic. Things are sinking in right now. It is all too sad. Just to think we ran past these bombs. Chill in the spine. What should have been like every year a celebration of the running sport changed in a day of sadness. 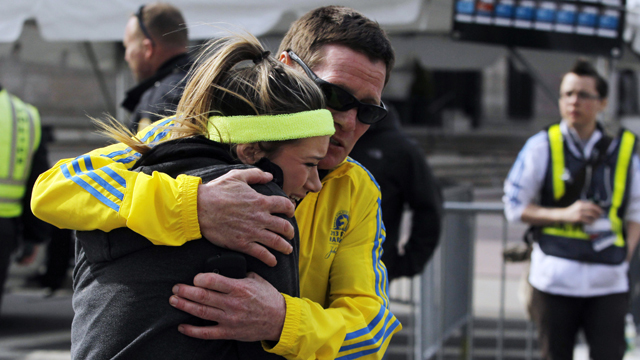 My thoughts are with the volunteers, the supporters and the family members that cheered us at the finish line. Unbelievable. 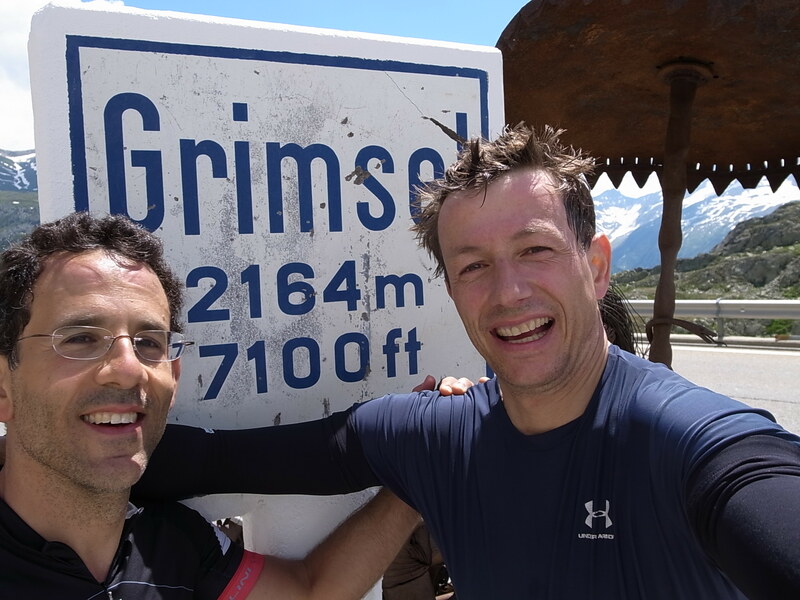 Had we known that we would ride in a 35 degree furnace, battle head wind for 60km and for Joel to crash into a car 100m before the end of the ride, would we have started riding on that foggy Monday at 07:30, the 9th of May from Saas-Fee to the Grimselpass? Probably not, but that’s what an adventure is about, I guess (and that’s why I do not understand people reading the last pages of a book before actually starting to read it). 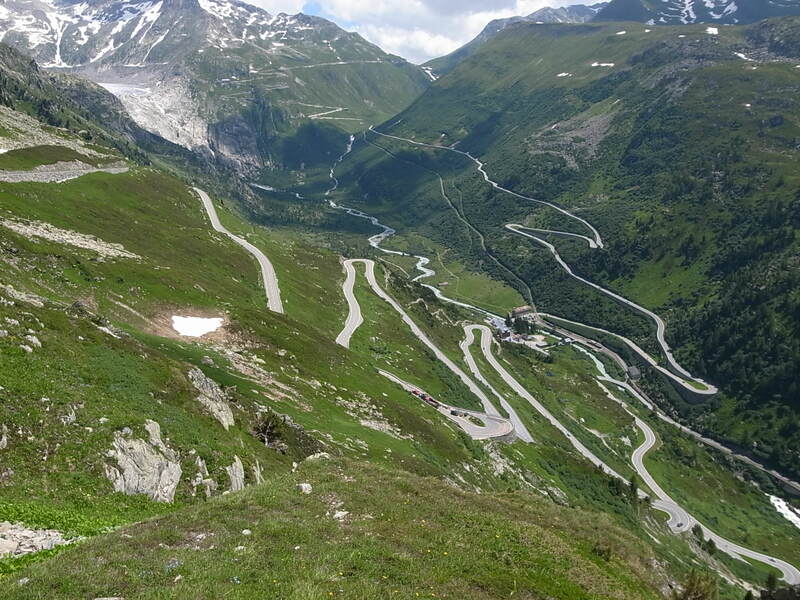 I had been thinking to ride to the Grimsel Pass for the past three years. 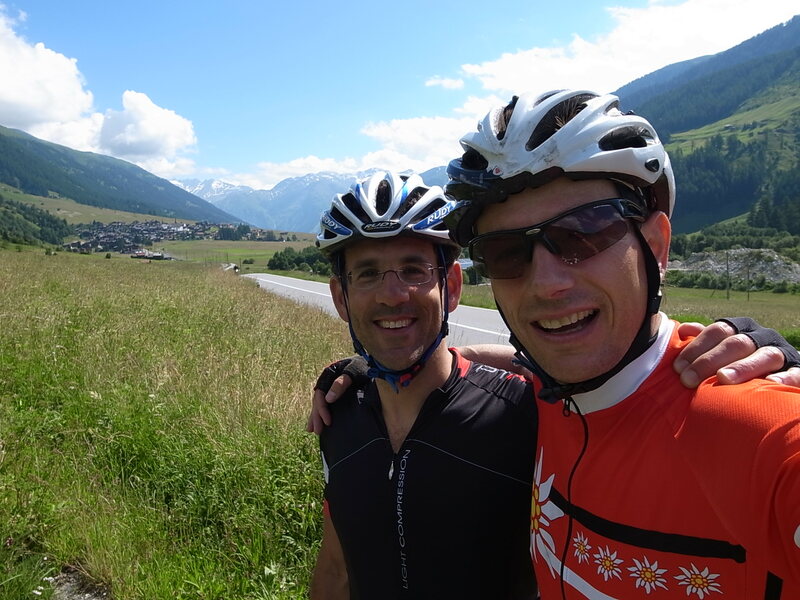 Joel – a training partner and founder member of our Windmill Warriors Triathlon Club – and I could not have picked a better day to do this ride. It all started the evening before, with some serious carb/protein-loading with our families in front of the chalet. Joel, is a Masterchef when it comes to marinating meat and BBQing. We limited our beer consumption and went up to bed fairly early. 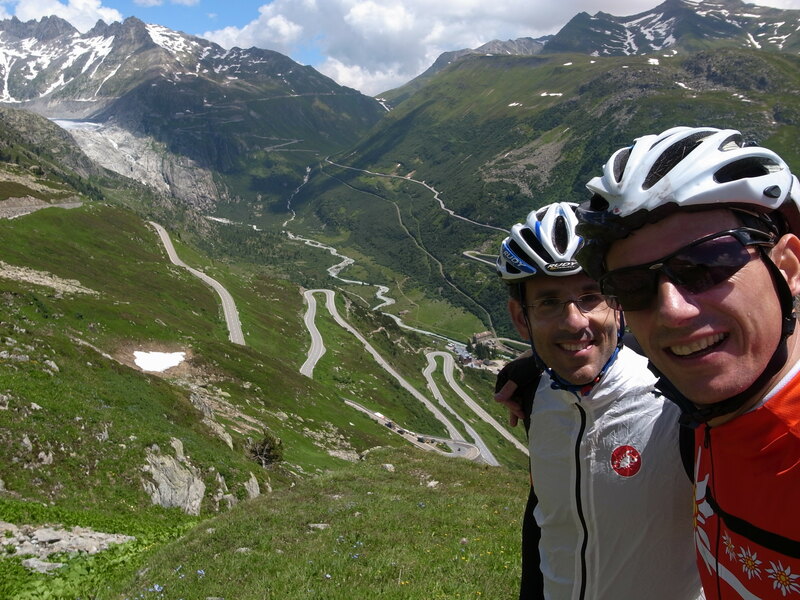 We started to ride with a 26km long descent from Saas-Fee (1800m) to Visp (500) before taking a right turn and started a 65km climb towards the Grimselpass (2164m). The climb was gentle at first along the river Rhone. We passed Brig and were surprised how fast the temperature was rising. 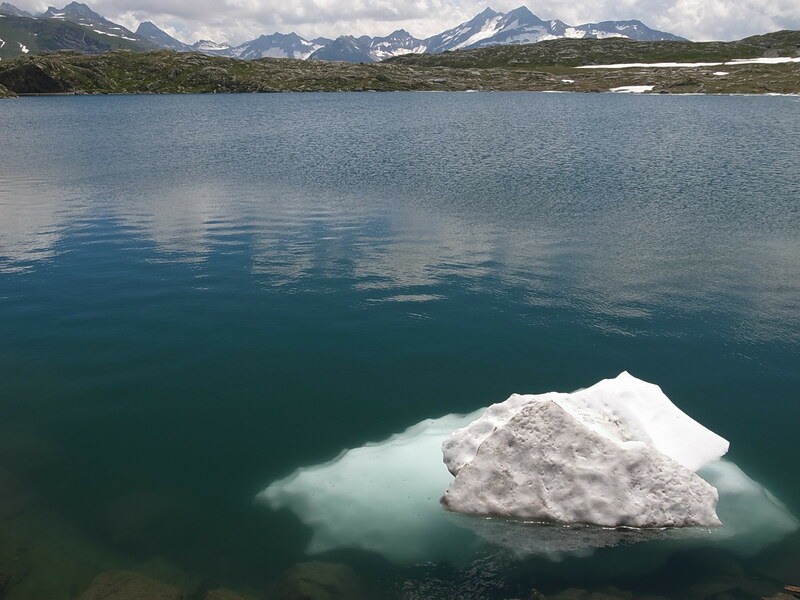 It was 11 in Saas-Fee, 15 in Visp and already 23 in Brig. The first “hills” showed up after Brig. Quads were warmed up by then to tackle the first serious climb until Bellwald . 800 m elevation gain in 16km. Joel was quite surprised to hear, that this was the “easy” part of the climb. From then on his requests for short stops increased 🙂 . The real deal started after Oberwald. There is even a sign warning cyclists of the 1000m upcoming climb averaging at 7.6%. 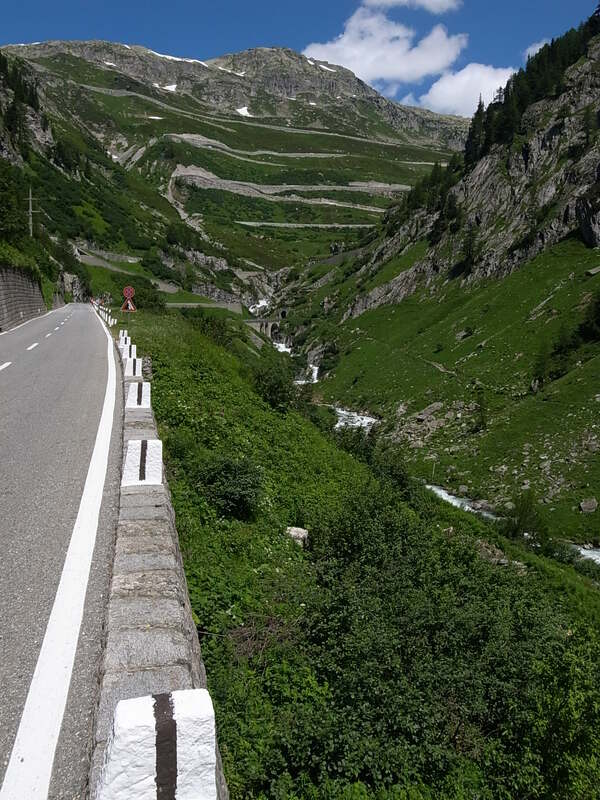 It is long and it is quite hard but the view is breathtaking and seeing for the first time from a “saddle perspective” the famous switchbacks of the Grimsel were very rewarding. 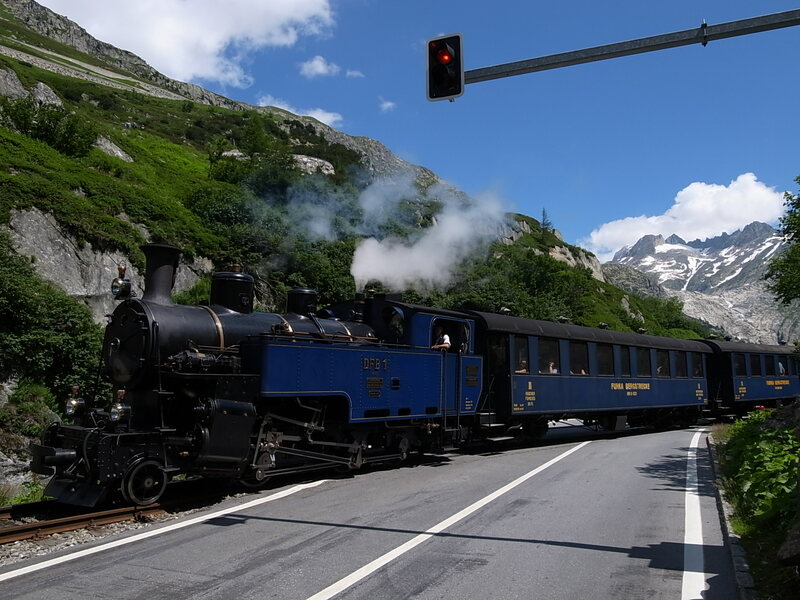 And because every ride has its loads of surprises, we suddenly encountered, crossing the road, the first trains constructed to pass the Furka Pass (same road as the Grimsel). We manages those switchbacks without problems and finally arrived to the Pass after riding for 4 hours and 1800m of elevation gain. It was a perfect day to be up there. No violent winds, no snow, nearly no clouds. Just Perfect. We quickly ate something before moving to our main activity of the day: photo-shooting. Now that the battery of my camera was empty, we could get back on the saddle and ride down. Joel acquired his downhill riding skills in The Netherlands. 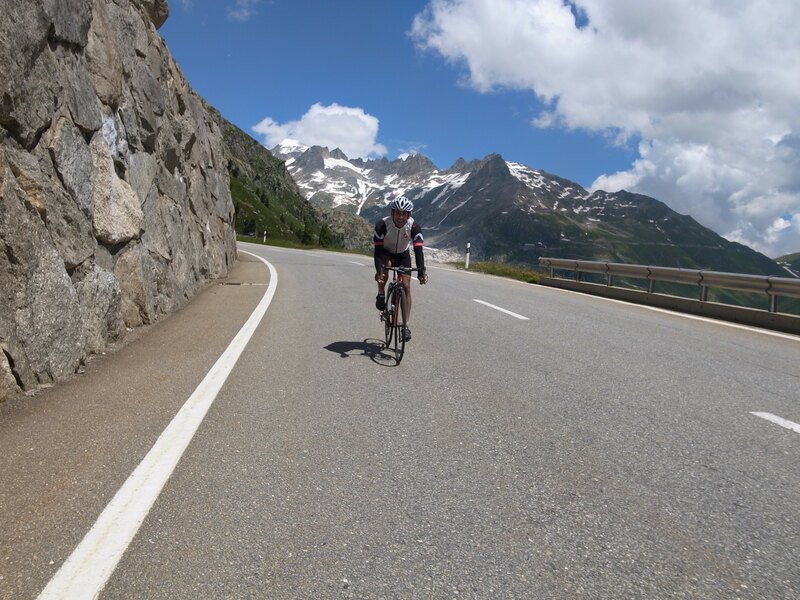 Going down the Grimsel was slightly out of his zone of comfort, but after training twice down from Saas-Fee to Visp he managed pretty well (although it took him a while to unclasp his hands from the drops afterwards). We thought we had done the hardest bit, but the weather decided otherwise. The wind picked-up together with the heat and every km we rode down we faced more heat and more wind. We ended up in the valley with the watch registering 35 degrees in the shade. I believe we each drank about 3 liters for the 6h45min ride. It was thougher than expected, especially for my fellow riders who challenged a car in the last 100m before our arrival to the bus station in Visp. Joel does not know exactly what happened. I was in the front, unclipping my shoes when I heard a metallic thump about 80m behind me. I hoped for the best but feared the worst. And yes, it came out to be the worst. Joel on the ground with a bruised shoulder. But the car was bruised too! A good dent in the side door and a broken mirror. Joel 1 – Car 1. I have a bit of a reputation back where I train in The Netherlands. “They” call me the Swiss Assassin, because I provoked a fall of 2 fellow bikers by braking in front of the group without (a lot of clear) advance warnings. I just would like to clearly state, that Joel decided to take on this car on his own free will. Namaste. I have neglected my blog for 18 months. 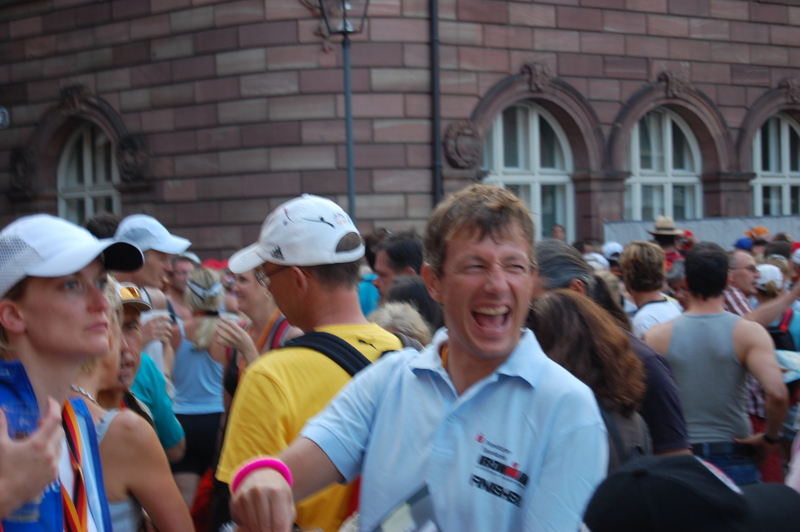 The last post dates July 5th 2010, reporting back on my first Ironman race in Frankfurt. 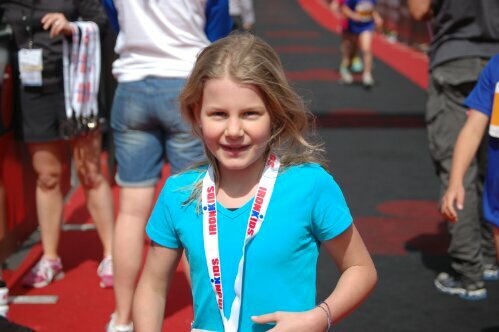 I have now at least 2 good reasons to revive my blog: My recent registration to Ironman Western Australia that will take place on December 9th, 2012 and the decision the raise fund for Malaika Kids. What is it? Well, I did not know until I met the Chairman of this Non for Profit Organisation on a flight from Amsterdam to London in December 2010. He was just returning from Tanzania to see how the construction work of the new Orphan Village was going (hosting up to 320 orphans). He told me the story of the organisation, the way they operated, etc..and a week later I was sponsoring my first Malaika Kid. This was a start but I decided, I could do more. 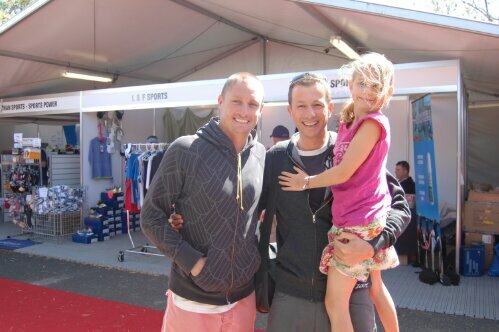 So, I am racing an Ironman in 12 months and I did my first Ironman in 2010 with a time of 11:38. The challenge is to race sub 11:00 this time. In the event I do not reach my objective I will double the amount of the total money raised. You can find the link to Malaika Kids as well as the Fundraising Website on the top of the side bar of my blog. About the Ironman Western Australia: It takes place as mentioned above in December. The perfect timing if you think about it. I do not have to train during the long cold night of the winter in the Northern Hemisphere to get ready by July or August to race on or the other Ironman in Europe. NO! I can wait for spring, start training slowly, get tougher and faster with some Summer races here in Europe and as soon as the dark-long-cold-unfriendly days of the winter kick-in, I am off with the family into the sun of Busselton (near Perth) on the West Coast of Australia. I obviously was not the only one with this strategy. The IM Western Australia, scheduled filled up in record time – all it took was one hour and nine minutes for the event to reach capacity after registration opened today. A record 360 international entries were received for the event. The region’s crystal clear waters and iconic Tuart forests will play host to 1,400 athletes from across the globe as they take on an incredibly fast and scenic course. 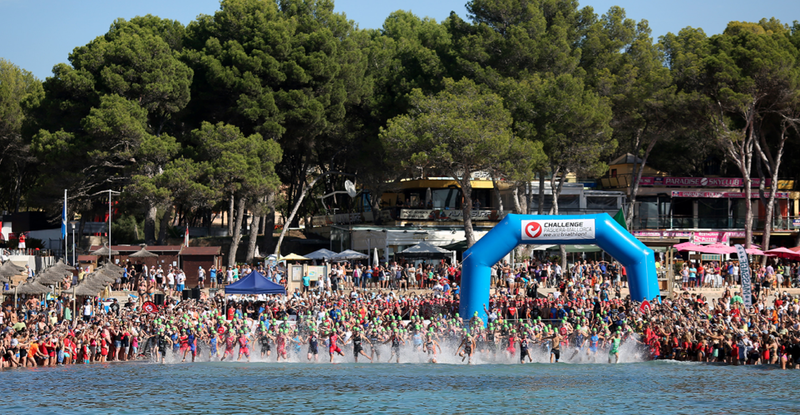 This race plays host to one of the most unique Ironman swim legs in the world. 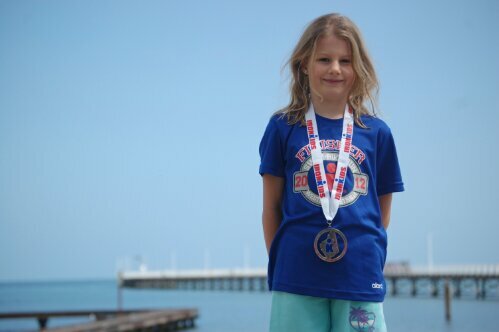 The 3.8km swim takes athletes on an out and back course around the famous Busselton Jetty. The Jetty stretches 1.8km out into Geographe Bay and provides a dramatic backdrop to the start of the race. The 180 km bike Leg is flat and fast and takes athletes through the incredible Tuart Forest. The three-lap course provides spectators with plenty of opportunity to cheer on their favorite athletes. The bike course record for the event is a super-fast 4:18:07 and, given the right conditions, another scorching time is possible on Sunday. Like the bike, the run leg is flat and fast. 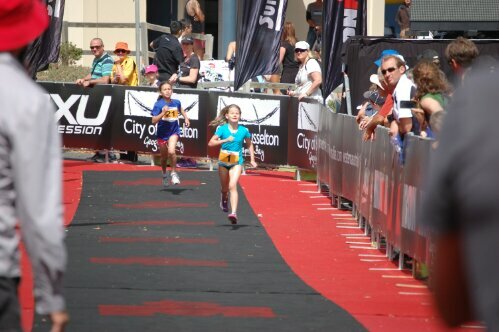 The four-lap, T-shape course takes athletes along the Geographe Bay foreshore and through the heart of the Busselton township on four occasions, allowing athletes to take in the incredible atmosphere created by thousands of spectators who gather in this area to support every finisher. What can I say, I can’t wait! My friends told me to race hard, to kick butts, so I did my best and enjoyed every minute. It was Ironman Day. I am over the moon. I stayed the last 3 hours in the public at the finish line, cheering fellow competitors and I seldom felt such true simple joy, without any selfishness at greeting them with my guts and heart. I cheered every one of them, until the last. What a party. This distance is magic. I love it. 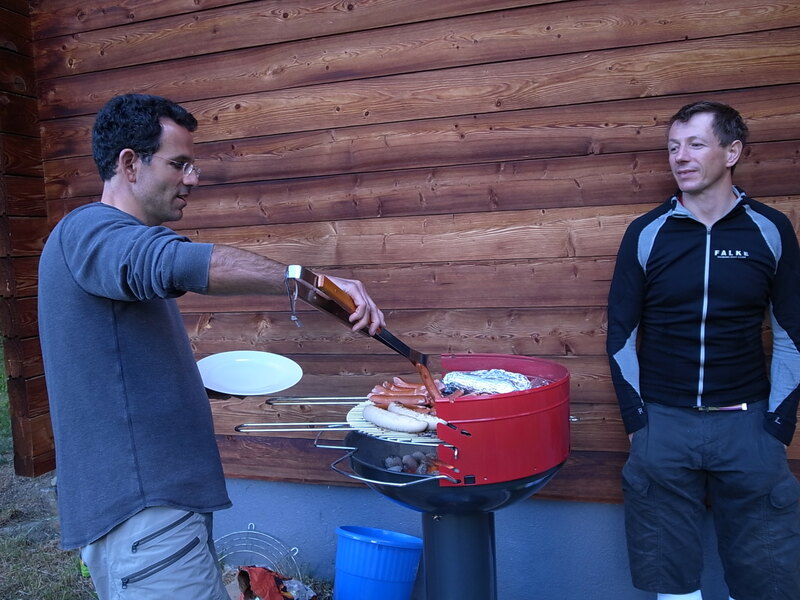 But back now to 07:00 on July 4th 2010 in Frankfurt. It was a big surprise for all of us at the pre-race meeting. No wetsuit because of a high water temperature was one thing. 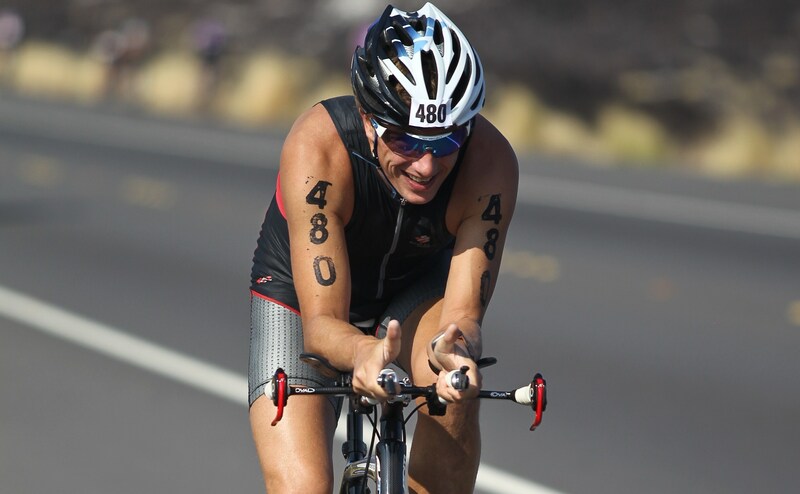 But also, as of July 1st this year NO tri-race suit with any neoprene or plastic of any sort. And you know what: it WAS GREAT!!! The good old way, most of us, like in the early 90’s just with a Speedo. Apart from the fact that I had a great swim, taking all corners rather wide from the buoys to avoid contact with the other 2351 athletes, the most interesting thing about this swim was to realise exactly how much the difference a wetsuit makes. I exited the water after 1:14 in 827th position. With the same time last year with neoprene I would be 1550!!! Now, last year the 827th position swam in 1:06:35. (I had planned 1:07). So it is confirmed. I swim close to 2min faster with a wetsuit per km! For all who asked my how big the difference is, this is it. It is huge in my view. And now to the bike after a rather lengthy transition. 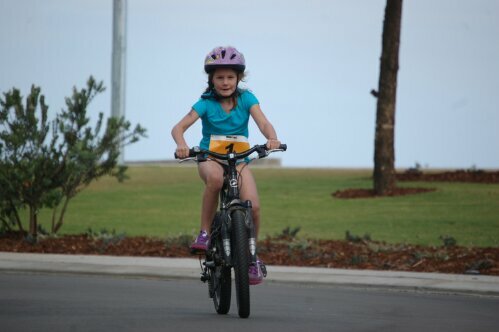 The weather conditions were perfect for the bike course. Heavy clouds, low 20C, light North-West wind blowing 10-15k. The course itself is a relatively hilly one with 1000 meters of elevation over 4 hills: the Beast, the Hell, the Hünerberg and the real bad one; the Heartbreak Hill). Two loops (8 hills 🙂 and exceptionally, an additional 5K because of road works, hence 185 instead of 180. I had very good legs. I paced myself and stayed for the entire bike course at 144 avg bpm, NEVER going in the red. 31km avg over 185km is an excellent result for me BUT it was only the 1250th time. I lost basically 400 positions during the ride. OK, I derailed twice, went to the loo, had to unclip my front wheel due to a stone that was stuck between the wheel and the fork. But apart from that cycling remains my weak discipline and I need stronger legs. Morale was great all the way apart from KM120 to KM140, but I pushed through that too. I had excellent support from my former osteopath, who flew especially from Vienna and motivated me the whole time. I had a good transition, the helpers were fantastic and when the one that was taking care of me asked me, whether she should hand-over the Garmin watch to me, I said: “ditch it in the transition bag”. I had paced myself during the swim and the bike, now it was time to run and listen to my body and to feel how much it could take for the marathon. So there goes the heart rate, the pace, etc…I had never done that before and yet it felt just right to do that. The first 10K went very well. Slow and easy. I was still kind of checking how my legs would take the rest of the distance. Just as I wanted to accelerate, I realise with shock that I have lost my chip/transponder. Will I get a total time? will I get a DNF? what’s next? So I run (fast) to the closest penalty box. The ref tells me to stay cool. I just need to check-in at every loop, in the meantime they will inform the data centre, get me a new chip and will scan the bar code at the finish line behind my bib number (so…this is what it’s for, this little piece of paper attached to the bib number..). I “lose” about 10 minutes in the process…but you know what. Great break and plenty of time to rehydrate (very well organised those penalty boxes). By the 2nd round the sun is back. And it is pounding. 29 degrees (86F) and the trend is up. With all these emotions I am out of my rhythm and I try to concentrate. Just then, I see Andreas, my support taking pictures, and this of course, vain as I am, puts me right back on my feet :-). Now I have a good rhythm, I guess around 5:30 per km. I do not stop at the aid stations, just take every time water and ice to pour over my head and soak my entire body. The last round is the hottest one. the last 5K are hard, but I don’t stop, I have lost enough time in the penalty boxes and posing for pictures. No it is all about thinking of the red carpet, the people, the music, the finish line. I start thanking in my head all people who have helped me in the last 12 months, especially Isabel. I think of our daughters. I also see myself in the hospital and realise where I am now. Behind my cool Rudy Project glasses a few tears come out. But now it is time to go over the red carpet. The noise from the crowd is deafening, I start shouting myself, raised arms, I am overwhelmed by emotions, I jump around, slow down, enjoy the finish line. It feels I stayed for ever in the arrival arena. I cross it with the time of 11 hours and 38 min. Better than I thought I would do. I covered the marathon in 4:13. Not great but good enough to make up for most of the 400 positions lost during the bike. End result 913th out of 2351. I could not ask for more. The Catcher at the arrival said that I looked fresh, I told him that I just looked happy, (and to myself: happy to have never given up in the last 13 months following the crash). The IM Frankfurt is a day to remember as the closure of a long chapter. But it is also a day to remember because the organisers, the helpers, my friend as support where just unbelievable. I could start again tomorrow. Realistically though I think, I will only do another IM in 2012. I think Madison, Wisconsin.